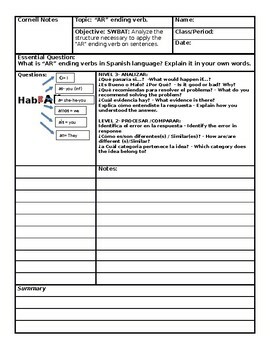 "AR" ending verbs Cornell Notes and Activities. Customized Cornell Notes include levels 2nd. 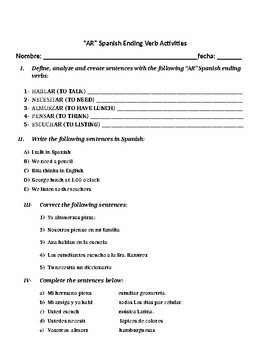 3rd., Costa's Questioning Techniques in addition of the "AR" ending verb formula and activities for students to understand easily the concept of Spanish grammar; while facilitating the teacher to evaluate the student's learning individually.